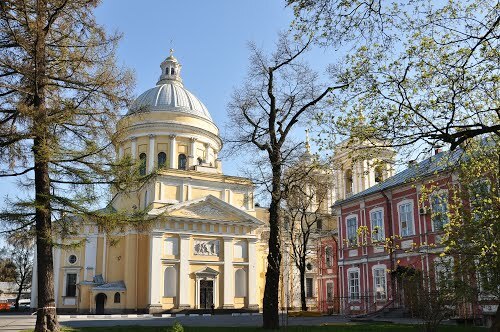 Holy Trinity Cathedral of the Alexander Nevsky Lavra, located at 1 Monastyrka River Embankment, is an architectural monument of the late Classicism style. 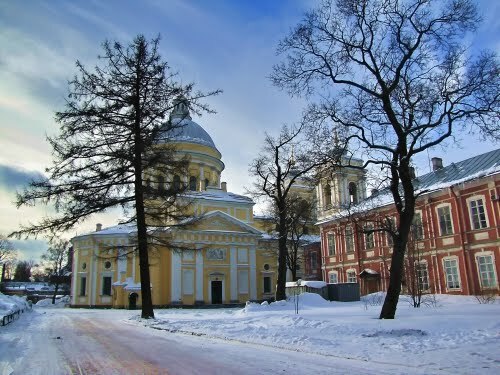 Its location in the centre of the Lavra ensemble, between Dukhovsky and Feodorovsky buildings was planned in the original designs by D. Trezzini. The first stone church was constructed in 1722-30 (architect T. Schwertfeger), but in 1753-55 it was demolished without being consecrated. 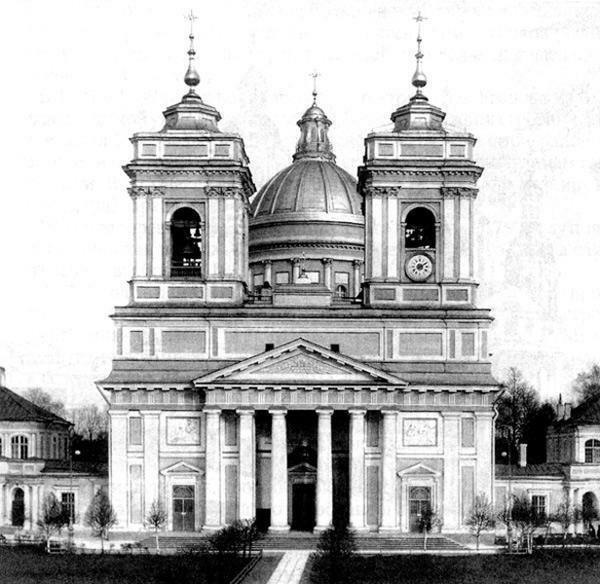 In 1778-90 a magnificent church with a single altar was built. 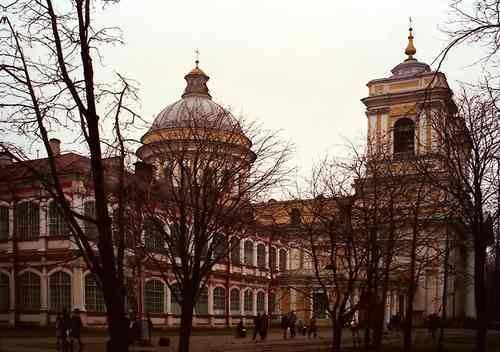 It featured a large cupola, a Tuscan portico and two bell towers (architect I. E. Starov). The loggia of the portico is adorned with bas-reliefs by sculptor F. I. Shubin. Artists J. Mettenleiter, I. 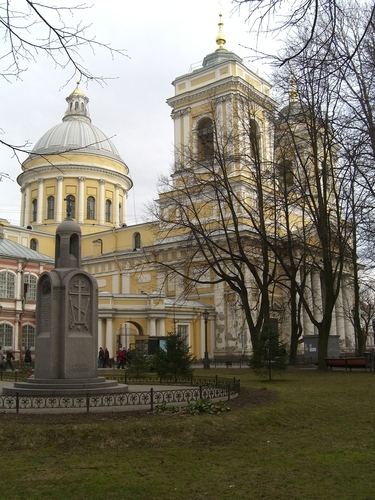 A. Akimov (icons) and F. D. Danilov (interior painting), modeler F. Lamoni, marbler L. Pinchetti and bronze master P. Azhi participated in the decoration of the church. The portrait of Empress Catherine II by D. G. Levitsky was set above the space reserved for the tsar. From 1770, the right side-altar contained the relics of St. Alexander Nevsky (returned in 1989) kept in a silver shrine, created in 1750-53 according to the sketch by G. C. Grot at the Mint. 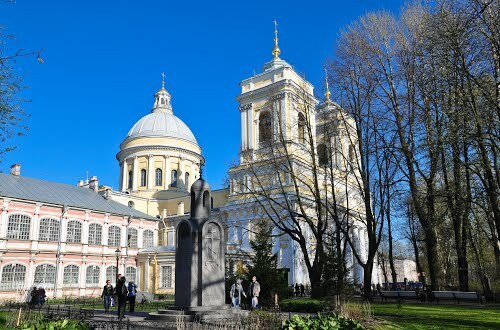 On St. Alexander Nevsky's holiday cavaliers of the Order of St. Alexander Nevsky gathered in the cathedral. In 1862, the malachite ciborium for the Shroud of Christ, made by P. P. Thomire in Paris, was arranged in the Holy Trinity Cathedral. 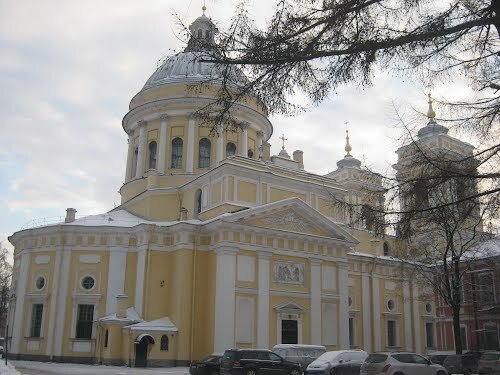 In 1933, the Holy Trinity Cathedral was closed, and in 1953 returned to the eparchy and restored (architect K. D. Khalturin). 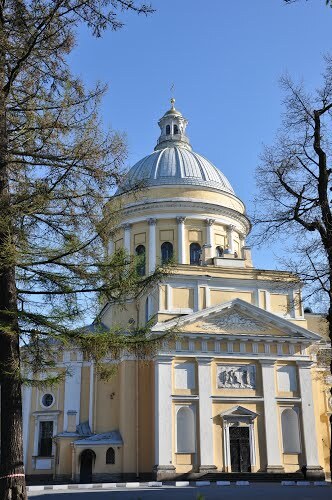 In 1957, the cathedral was consecrated anew and since then functioned as a parish church. 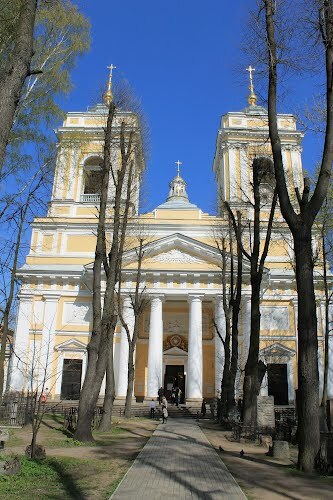 In 1996, it once again became the monastery cathedral. 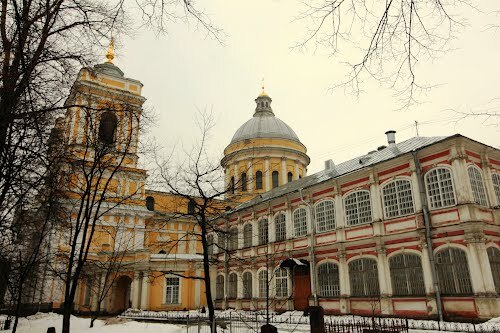 Александро-Невская Лавра в честь Святой Троицы. 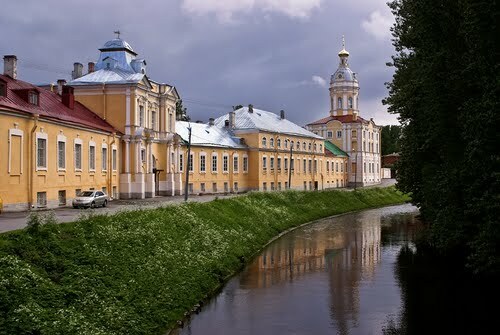 The Aleksandro-Neva Monastery in honour of the Sacred Trinity.